One of the best surprises I had this summer was realizing we have gooseberries growing in our new front yard (did I tell you we left New York? We left New York). By late summer they were a dark red color, and bright and tangy to eat. 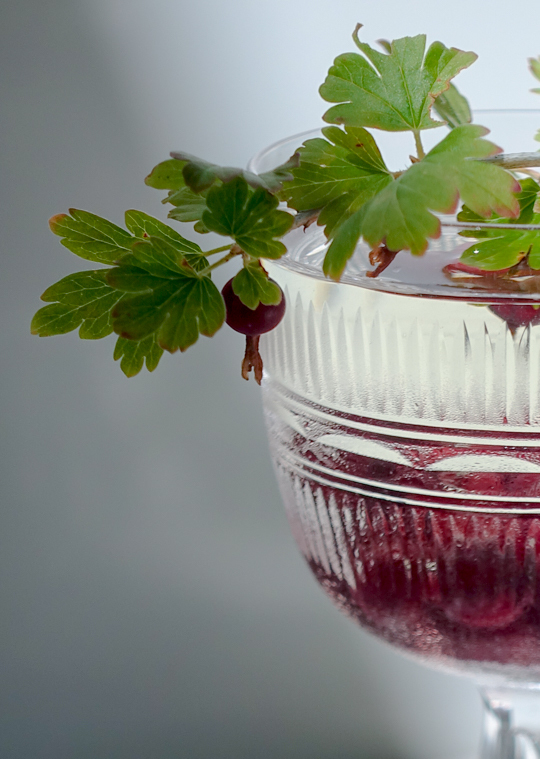 I have made a few things with them this summer, but my favorite is this Gooseberry Fitty Fitty Martini. 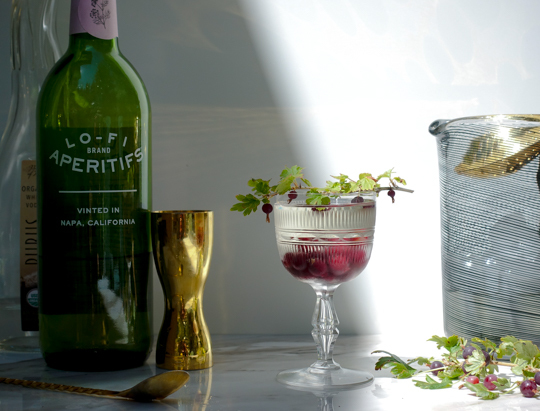 This cocktail was inspired by the vermouth service at New York's Caffe Dante, where they pour chilled vermouth over frozen grapes as to not let the vermouth dilute while you enjoy the drink. In my opinion, Martinis deserve the same attention to temperature - they need to remain consistently cold, but with out dilution, and certainly without a "cocktail stone" that will be sure to break that vintage crystal coupe. I put the gooseberries in the freezer, and tested a few martini options with the frozen gooseberries at the bottom of the glass. My hands down favorite combination for this cocktail is half vodka and half Lo-Fi Dry Vermouth made from a white wine base and infused with fennel, coriander, cardamom, elderflower, cherry, anise, and chamomile. Both of the Lo-Fi vermouths, sweet and dry, are really incredible - I cannot recommend them enough. They are fantastic poured over a king cube or stirred into a simple cocktail (I say simple because you want to let these vermouths show off a bit). For this cocktail I used Purus Vodka, a clean tasting Italian vodka made from organic grains and water sourced from the Italian Alps. This particular vodka works well in this cocktail because it lets the vermouth play the lead role. 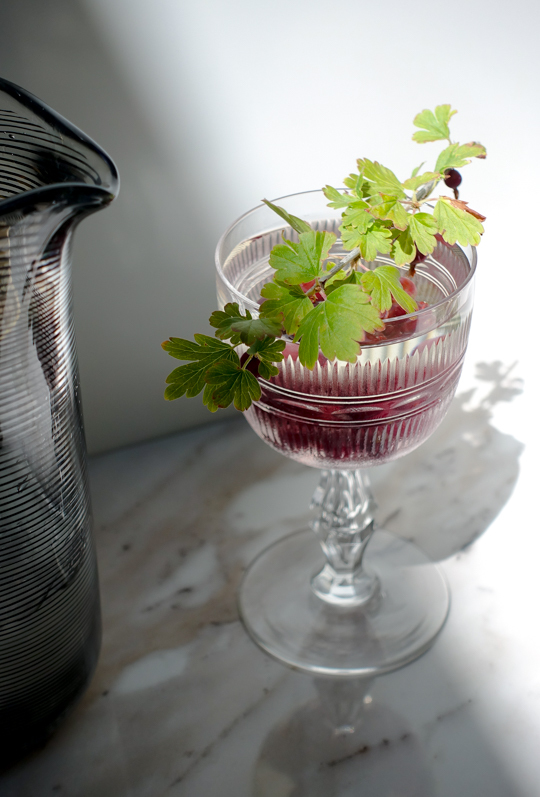 This cocktail has quickly become one of our new house favorites - and is worth spending hours harvesting those sweet little gooseberries when they become full and ripe. I have a Tupperware container full of the little berries stashed in the freezer with hopes of rationing them through the winter. 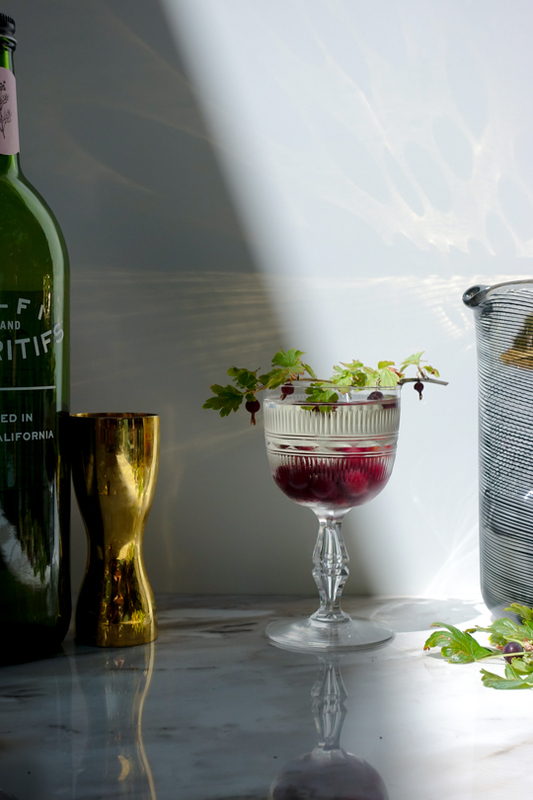 I imagine this cocktail could be easily re-created using fresh currants or small gooseberries found in the market - just pop in them in the freezer the night before you plan to imbibe. 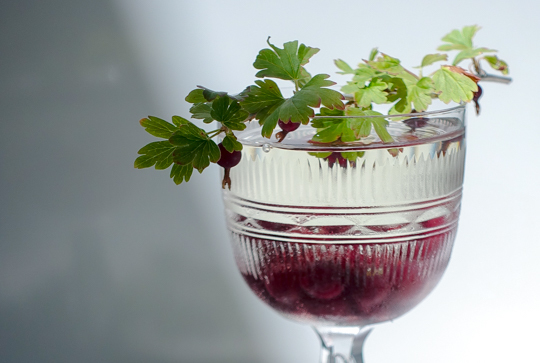 Place frozen gooseberries in the bottom of a coupe, and set aside. 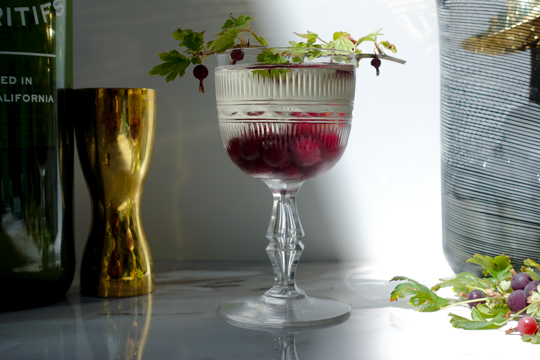 In a mixing glass, stir the vodka and vermouth with ice until chilled, and strain into the coupe over the gooseberries.